Bill Mittenzwey, age 51, died unexpectedly on Monday, August 20, 2018 at his home in West Mifflin, Pennsylvania. He was born William Charles Mittenzwey, Jr. on May 14, 1967 in Pittsburgh, Pennsylvania, one of two sons of William Charles, Sr. and Eileen Bernadette (Milinski) Mittenzwey and grew up in the Jefferson Hills, Pennsylvania area. Bill was an avid bowler at the Playmor Lanes in West Mifflin. 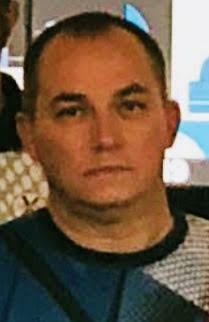 He was preceded in death by his parents and is survived by his wife, Vicki Mittenzwey; four children, Jason (Ashley) Mittenzwey, Nicholas (Elizabeth) Mittenzwey, Stephanie (Patrick) Butler and Alex Houston; four grandchildren, Damien, Brantley, Paisley and Wesley; his brother, Gerald “Jerry” Mittenzwey and niece, Ashley Mittenzwey. Friends will be received in the Stephen D. Slater Funeral Home 1701 Route 51 (Large) Jefferson Hills 15025 on Wednesday, August 22, 2018 from 5 – 8 PM and Thursday, August 23, 2018 from 2 – 4 PM and 6 – 8 PM. There will be a Blessing Service for Bill in the funeral home on Friday, August 24, 2018 at 11 AM with Father Robert Ahlin, of Holy Angels Parish in the Hays section of Pittsburgh, officiating. His burial will follow in Jefferson Memorial Park Cemetery, Pleasant Hills, Pennsylvania.